BCAA’s are the branch chain amino acids leucine, valine and isoleucine. Also note that all amino acids are derived from the assimilation of proteins. BCAA’s are not only 3 of the paramount 18-22 amino acids (as in your body cannot make them and needs them to live), they alone also make up about 70% of your muscle cellular pool and cellular structure. Unfortunately, BCAAs are lost (...muscle loss) at a rapid rate during training and during calorie deficient diets. 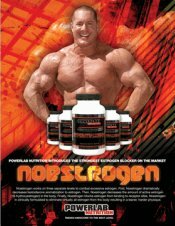 The result is less muscle and the need to replenish these muscle mainstays…or better yet, trigger an anabolic environment that fosters nutrient super-over-compensation where we need it- for accelerated muscular growth. 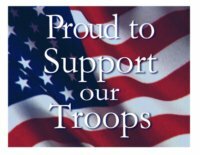 Why else do we train? The true value of BCAA supplementation is now well established both in literature and in real world application. Anabolic (muscle building) stimuli are their true value rather than wasting good proteins to catabolism (muscle wasting) resulting in more money landing in your toilet. *A note from Author: One of the two highly respected researchers who penned the peer-reviewed article above is named Layne Norton. To say Layne is brilliant is an understatement. Please take some time to read the complete study if you get a few minutes. It’s worth your time! Did You Know That BCAA’s Could Be Anabolic? BCAA’s can be anabolic if they are correctly structured, protected and delivered right. Never being satisfied with simply good or even just excellent, we at ALR Industries have taken BCAA’s to the ultimate level for mind-blowing effects. Author L. Rea decided to turn the power way up on the “anabolic drive” with Chain’d Out™. 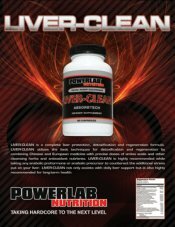 First, we utilized esterification technology to increase oral bioavailability 200-300%. Yes, this means way more bang for your buck. Even more important is the fact that our ester-protected BCAA’s in Chain’d Out™ greatly avoids gluconeogenesis (break-down and conversion to glucose for regular caloric utilization). Why would you pay for a BCAA with half to one third the oral bioavailability and risk the majority of your muscle gains? 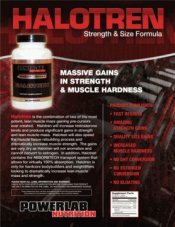 Why not simply protect yourself from catabolic muscle loss while adding more muscle instead? ALR Industries has taken the science of adaptogens further than anything seen before. Chain’d Out™ has a rock solid foundation, which is further reinforced by boosting its overall synergy through the addition of potent anti-catabolic agents, anabolic co-factors and last but certainly not least it also promotes mood boosting and energizing effects. 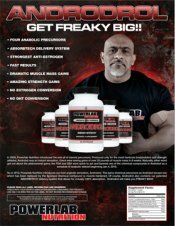 Author left no stone unturned in his passion to create the most complete and highest orally bioavailable BCAA formula on the market. 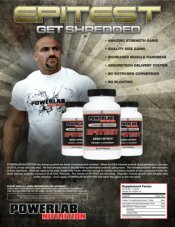 Chain’d Out™ is scientifically engineered to potently thwart muscle breakdown and catabolism. 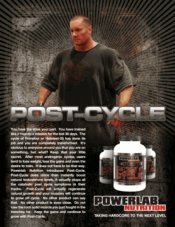 We made it to provide an incredible synergistic boost to the pro-anabolic drive, produce focused energy and mood elevation (without any jitters or negative stimulant qualities), improve strength, endurance, stamina and recovery, create optimized vasodilation and nutrient utilization, enhance oxygenation and fight stress, fatigue as well as other counterproductive body processes. *Note you will feel the power of this matrix as it is noticeably effective within minutes. Once again ALR Industries has raised the bar in sports supplementation with its formula for Chain’d Out™. Chain’d Out™ sets the standard for non-hormonal performance by creating an anabolic/anti-catabolic environment beyond your wildest expectations! WARNING: NOT FOR USE BY INDIVIDUALS UNDER THE AGE OF 18 YEARS. DO NOT USE IF PREGNANT OR NURSING. KEEP OUT OF REACH OF CHILDREN. Do NOT consume this product if you have a medical condition and/or taking any prescription medication. Do not exceed recommended serving. Discontinue use and call a physician or licensed qualified health care professional immediately if you experience rapid heartbeat, dizziness, severe headache, or other similar symptoms.